When I received this award from My little Rock, I was in a total awwww moment. The word elated can’t explain my feelings and its more than that and I am not able to explain how felt that day. Because this person followed me silently for four months and passed on this award. This is what she commented. Hi! 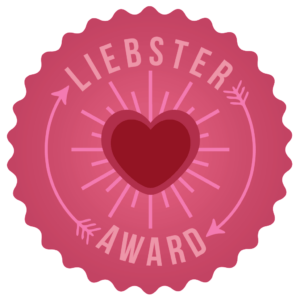 I just wanted to let you know that I’ve nominated you for the Liebster Blog Award because I love your recipes and blog!!! I’ve been following your post for a while now and love your work. You deserve the recognition. Thanks for taking up the challenge. I can’t wait to read your answers. These recognitions from fellow bloggers are really a great boost and thought that people follow and read my blog regularly and appreciating is really awesome. Thanks a ton My little rock. 1. You must thank and link the blogger who nominated you. 2. You must nominate 11 other bloggers who you think deserve this award and link their blogs too. 3. You must answer the 11 questions posted by the blogger who nominated you and ask 11 new questions for your nominees to answer. 4. You must notify your nominees. 1. Why / how did you choose the name of your blog? I want my name in my blog also a name which states what is the blog about. So my URL and blog title are different. 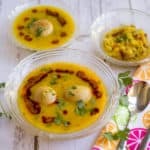 URL is Vidhyashomecooking – I was watching some food show and they were talking about about importance of home cooking thus it became vidhyas home cooking. 2. What’s your favourite dish to eat? Being a foodie this is a difficult question to answer. I love to explore all the vegetarian food. 3. What’s your favourite dish to cook? 4. 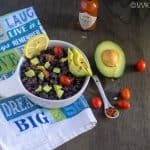 Why did you start a food blog? 5. How much time does it take in total to put a recipe online? This includes the cooking, photographing, writing, uploading etc. Depending upon the recipe. But on an average I would say 3 to 4 hrs. I cook and take the photography which is approx 2 hrs and then adjust the size of the images and add water mark and writing and scheduling another 1 hour. 6. What type of camera are you using to take photos for your blog? Till this march I was using my Samsung Note 3 and now my Canon EOS T5 rebel. 7. What’s the worst cooking disaster you’ve ever had? 8. 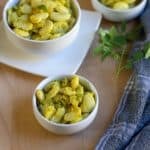 How long have you had your cooking blog? From July 2009. I am going to hit a sixer soon. 9. Who’s your favourite cook / chef? My mom. She is my inspiration and my favorite cook. Both me and my mom love Revathy’s Shanmugam and Meenakshi Ammal’s recipes. 10. What’s your favourite cooking TV program? I would say all shows from food network especially Giada’s Everyday Italian and I used to follow Jaya TV’s Arusuvai Neram. 11. If you could give one piece of advise to another food blogger what would it be? Have fun Blogging. I would like to share Julia Child’s quote here. Thanks again for the nomination and enjoyed answering these questions.